Aliza is the Director of Business Development and International Projects at the DMZ responsible for planning, developing and leading the strategic relationship management with current and potential business partners, clients and donors, both local and international. Aliza has over 10 years of diverse experience in Financial Services in Canada and the U.S. Her experience spans across multiple disciplines including corporate strategy, business development, large-scale transformation and change management where she held progressively senior roles, most recently at Bank of Montreal. Aliza has worked with teams, clients and C-suite executives in human resources, wealth management, technology and operations, capital markets, marketing and strategy. She spent the first half of her career on the trading floor in fixed income sales and trading and started her career in investment banking at Royal Bank of Canada and JP Morgan Chase. Aliza is passionate about serving the community and acted as Chair of the Board of Directors for Rexdale Women’s Center, a three million dollar non-profit serving high-need women and their families. 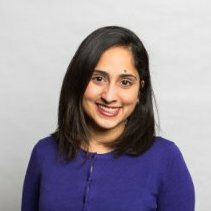 Aliza holds a Bachelor of Mathematics from the University of Waterloo and an MBA from New York University Stern School of Business.